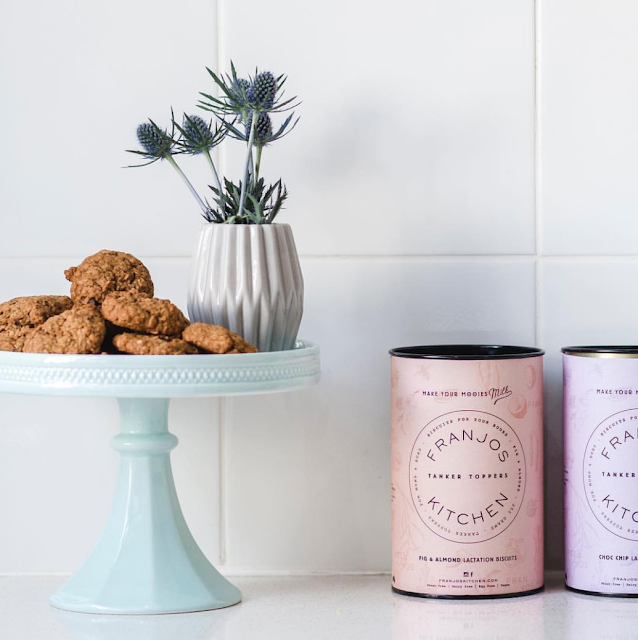 We took 5 minuted to catch up with Fran, who together with Jo are the mastermind mothers behind Franjos Kitchen. 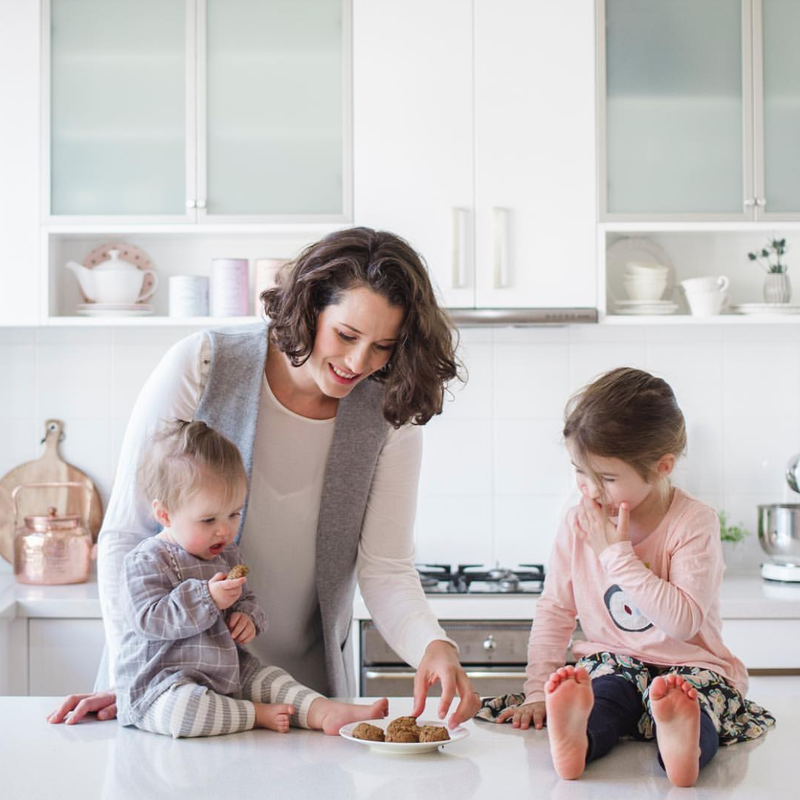 Fran is a lawyer and mum to baby Margot and 3 year old Phoebe, Jo is a naturopath, nutritionist and wellness consultant and mum to twin babies Florence and Charles and 3 year old Matilda. Together they have developed a wonderful range of cookies and crackers for pregnancy and lactation that work with your body, not against it. Can you tell us a bit about Franjos Kitchen and how it came about? When I was breastfeeding my first baby, I had milk supply issues. I googled “how to increase my milk supply” and stumbled across page after page of recipes and advice. Around the same time I met my business partner Jo, a naturopath. 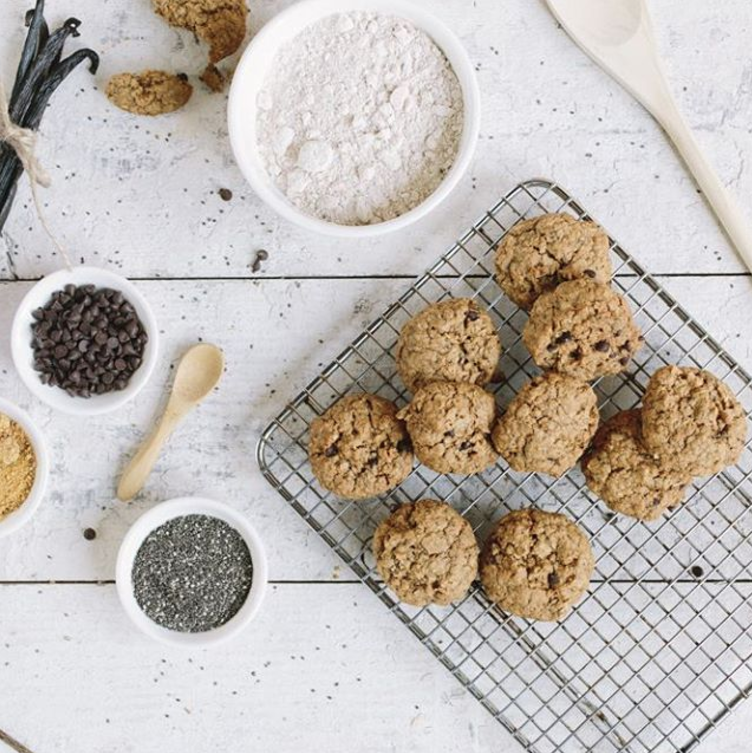 At the time Jo was developing another healthy cookie company. A month or two after meeting I was lying in bed and had the lightbulb moment of creating Franjo’s Kitchen. There was a gap in the market and using Jo’s skills as a naturopath I saw an opportunity to create a really special product. We’re also believers in food being nature’s medicine, can you tell us why is it so important to really consider nutrition whilst breastfeeding? It’s a no brainer. Our bodies are working sooo hard to produce milk for our babies. We need to fuel them properly to do so. There are so many factors that go into milk production and whilst diet isn’t always the complete answer it does have a huge impact on the amount of milk we can create, and the quality of that milk. Mothers, breastfeeding or not, need energy and a good diet is absolutely essential! 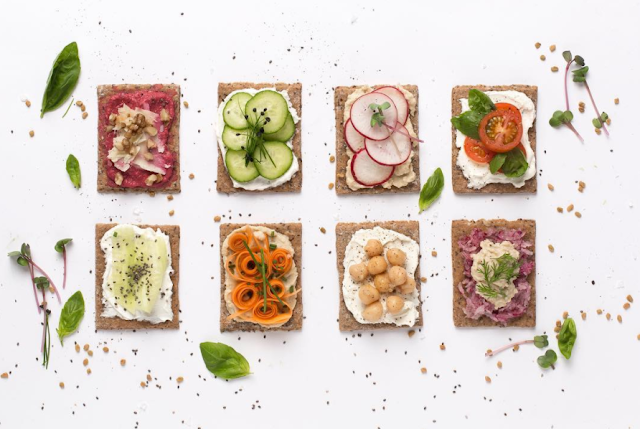 Sweet or Savoury, do your crackers and cookies have the same benefits? Which is your personal favourite? Yes both our products contain galactagogues – the ingredients that help with your milk supply. Not only that, but all of our products contain ingredients specifically chosen by Jo for their nutritional value. We don’t use any cheap bulk fillers or refined flours or sugars. I genuinely love them all! It’s like trying to choose between my children! I love the fennel and fenugreek cracker with avocado and goats cheese on it and the choc chip has got to be a go to too, especially for the mid avo pick me up! But then again, I love the ginger and apricot! Honestly I can’t choose! What are your top tips for breastfeeding mums? Understand breastfeeding before you have the baby. Those first 6 weeks can be really challenging. Establishing supply, understanding cluster feeding, and correct latch are sooo key. Get help from a lactation consultant as soon as you think you need it, they are godsends. And remember to eat! You need so many extra calories and lots of extra water. But above all, you need to do what is right for you and your baby. There is no doubt that breastfeeding is absolutely wonderful and I loved feeding both my babies until toddlerhood but ultimately the most important thing is a happy mother so if for whatever reason it doesn’t work out please try not to feel too guilty. 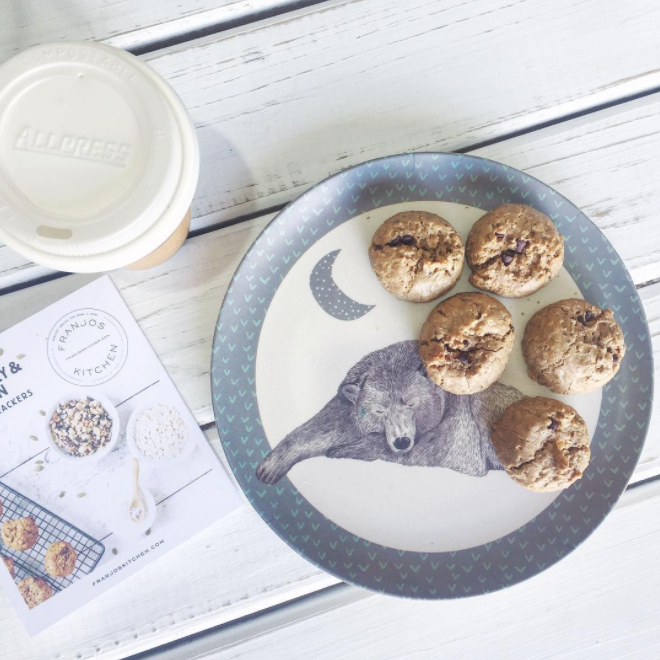 How do you juggle parenthood and being a business owner? We are really lucky that we live in the smartphone age, so a lot of my work gets done off my phone. But it’s definitely tricky. Now that I have both my girls in childcare I try to get as much work done as I can on my “office days” but the reality is as a small business owner, the work never ends. It’s definitely a juggle sometimes but I feel very lucky to be in this position and dictate when I work rather than being tied to a job with annual leave and office hours to consider! Ha! Everything. I saw a meme the other day which said something like “it was so much easier to parent my hypothetical children before I had them” and it’s so true. I’m over 4 years in so I can’t even remember all my wild pre children ideas of parenting but I’m pretty sure I’ve broken every rule! Love them and read them books. A friend of mine who is a teacher said that the children whose parents seem truly happy to see them after school, who seem to genuinely love and enjoy their children’s company and who are well read seem to be the happiest and most well adjusted. I know it seems pretty simple but it really struck a cord with me. Love your children unconditionally. Read them books. I can do that! And lastly, what’s on top of your Love Mae wishlist? Ohh I think it would have to be some of your beautiful fabric wall stickers! Love them!